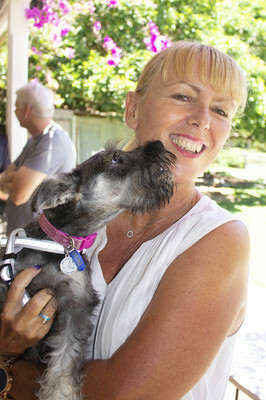 Event organiser Barb Luetjens with rescue dog Penny from Heaven. 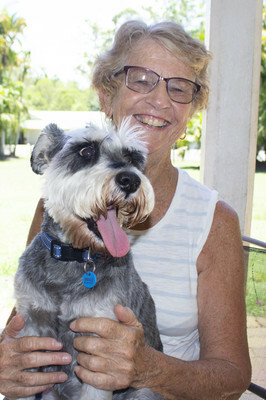 Friendships formed through their love of schnauzers brought together about 60 people and their dogs on Saturday at the Apollonian Hotel at Boreen Point for their annual summer lunch. 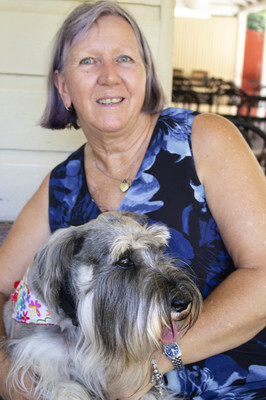 Organiser Barb Luetjens said the schnauzer gatherings began about 20 years ago on the Gold Coast and after joining the groups Facebook page she decided the Sunshine Coast needed its own venue. 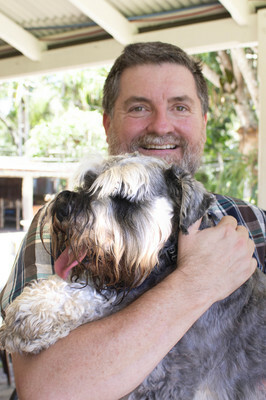 We started with meetings on the beach then one schnauzer owner at Boreen Point suggested the Apollonian, she said. “It’s snowballed from there,” she said. 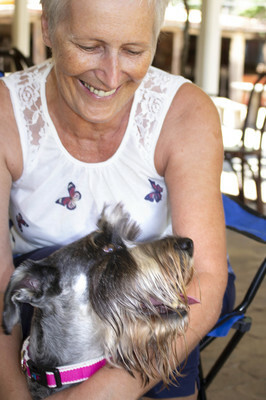 Guests travelled from across the region and beyond and apart from a little argy-bargy amongst the schnauzers they got on famously. 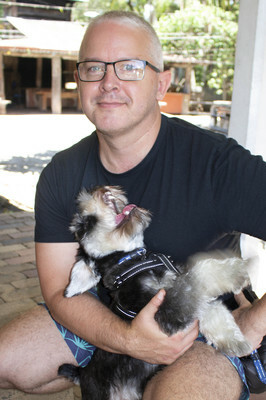 Among the guests was Schnauzer Rescue Queensland president Kirk Muddle who said the organisation had been incorporated last October enabling it to fundraise for its rescue dogs. 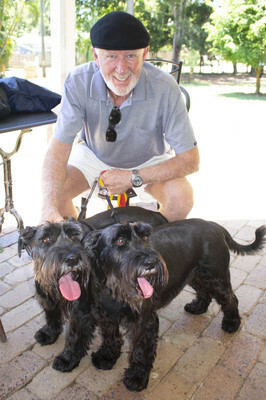 He said they had rehomed four dogs within two months but none of the devoted schnauzer owners had given up their dogs lightly. 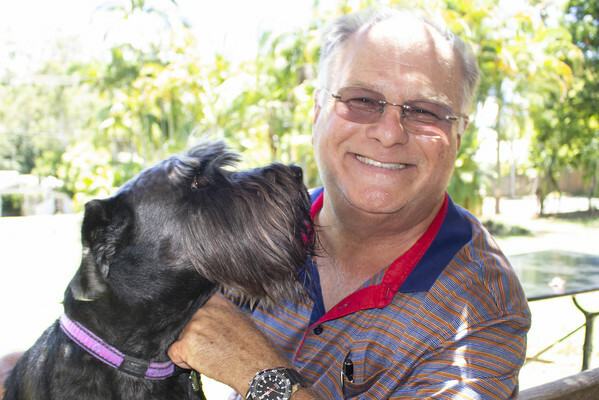 “There’s always a reason behind it,” he said.